The Secretariat is very pleased to report that, in ceremonies in Khartoum on 5 June 2006, World Environment Day, Sudan's Minister of Environment and Physical Development, Dr. Ahmed Babikar Nehar, announced the designation of the Sudd marshes as his country's second Wetland of International Importance, along with the Dinder National Park Ramsar site and UNESCO Biosphere Reserve. 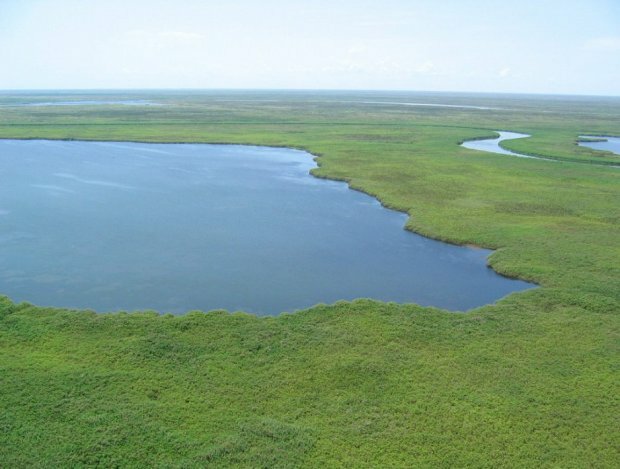 As summarized by Ramsar's Lucia Scodanibbio from the Ramsar Information Sheet that accompanied the designation, Sudd (5,700,000 hectares, 07°34'N 030°39'E) is one of the largest tropical wetlands in the world, located in Southern Sudan in the lower reaches of Bahr el Jebel, the name given to the White Nile as it flows northwards. 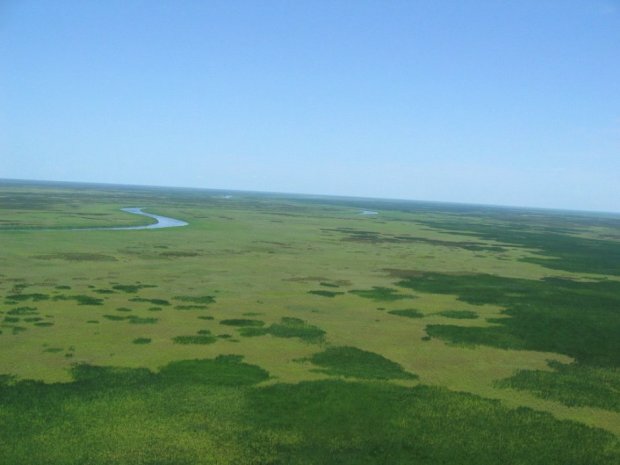 Ecologically the Sudd wetland is composed of various ecosystems, grading from open water and submerged vegetation, to floating fringe vegetation, seasonally inundated woodland, rain-fed and river-fed grasslands, and floodplain scrubland. It is a wintering ground for birds of international and regional conservation importance, such as Pelecanus onocrotalus, Balearica pavonina, Ciconia ciconia and Chlidonias nigra; and is home to some endemic fish, birds, mammalian and plant species, and to the vulnerable Mongalla gazelle, African elephant and shoebill stork. 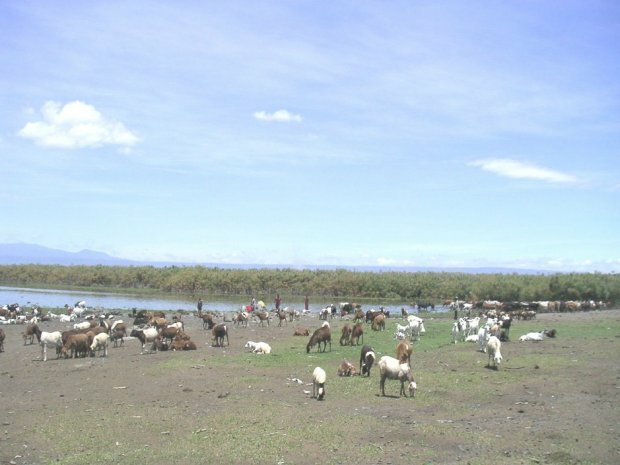 Migratory mammals depend on the wetland for their dry season grazing. Hydrologically the Sudd wetland is regarded as a giant filter that controls and normalizes water quality and a giant sponge that stabilizes water flow. It is the major source of water for domestic, livestock, and wildlife use, and an important source of fish. The occupants living within and adjacent to the Sudd region are almost exclusively Dinka, Nuer and Shilluk. The socio-economic and cultural activities of these Nilotes are entirely dependent on the Sudd wetland and on its annual floods and rains to regenerate floodplain grasses to feed their cattle. They move from their permanent settlements on the highlands to dry season grazing in the intermediate lands (toich) at the beginning of the dry season and return to the highlands in May-June when the rainy season starts. Threats to the site include oil exploration  Sudd contains Sudans largest oil block  and the Jonglei Canal Project, which is currently on hold, but would reduce wet and dry season flows by 20 and 10% respectively, thus impacting the wetlands ecology and consequently its inhabitants. Three protected areas fall within the Sudd, but no special protection measures or management plan is in place. Photos of the World Environment Day ceremony and text of the address by Denis Landenbergue of WWF International on behalf of Ramsar's Senior Advisor for Africa, Abou Bamba.